I then added some 50 from diging in the yard. Two weeks later I looked through the dirt snd found like two worms. I'm not sure where you got your worms for fishing but in one of my newsletters I talked about "buyer beware". If the person behind the desk can tell you the scientific name of the worm Like Eisenia fedita for red wigglers (a composting red worm) then you will most certainly have a real composting worm. These are small worms that you can bring home and raise in a worm farming bin. All other worms, other than composting worms, will not survive in a bin. The worms you dug in your backyard were most likely Nightcrawlers and they will not survive in a shallow worm bin. They need the freedom of burrowing up to 6 feet deep. They come up to get their food and take it back down with them into the cool of the soil. That's just their habitat and will not eat or reproduce out of their surroundings. 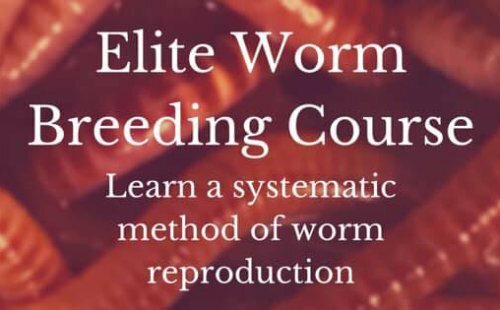 Read the guide here and keep your 2 dozen worms happy and you'll have thousands before you know it. I had, I say had, 1250 WW in a worm factory last week and now I can't find any worms in the bin. Where could they go? I have been using 1 tsp. mollasses,the same stuff for the tea, in my spray bottle, to spray bedding. Is this OK? Also my worms don't seem to get very big, most are like spiggetti.Is there something I'm doing wrong? I do follow your 5 step program. Thanks for this site. It's great.